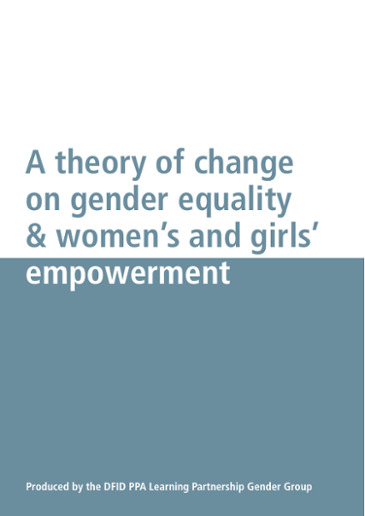 Women and girls do not enjoy the same status, power or access to and control over resources as men and boys. Without addressing the underlying causes of inequality, we can’t achieve the sustainable change for women and men that we seek. Practical Action is working to improve women and girls’ voice, choice and control across our programmatic and policy work. 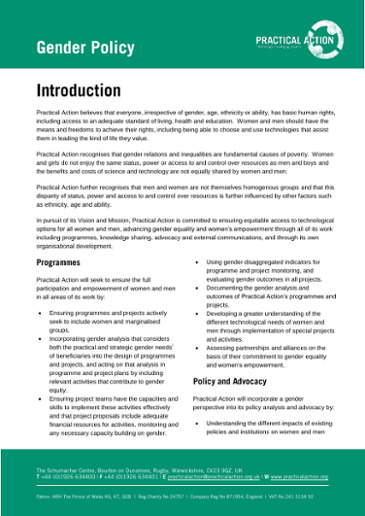 Practical Action has pledged to strengthen our activities on gender, including setting minimum standards for all our work; expecting gender sensitive approaches (meeting women and men’s practical day to day needs) as a minimum, and seeking gender transformative approaches (meeting women and men’s strategic needs) as our overall ambition. 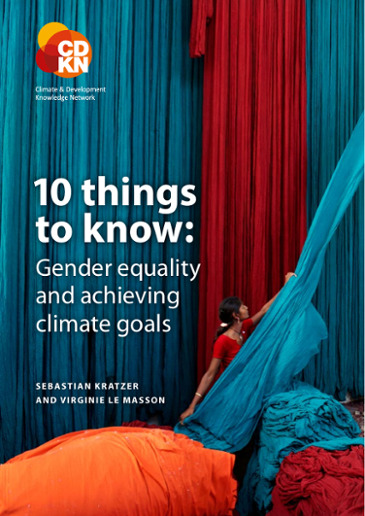 We are working to ensure that all our project and programme monitoring and evaluations disaggregate indicators by gender, building gender equality into the metrics of our monitoring and evaluation processes from the outset.